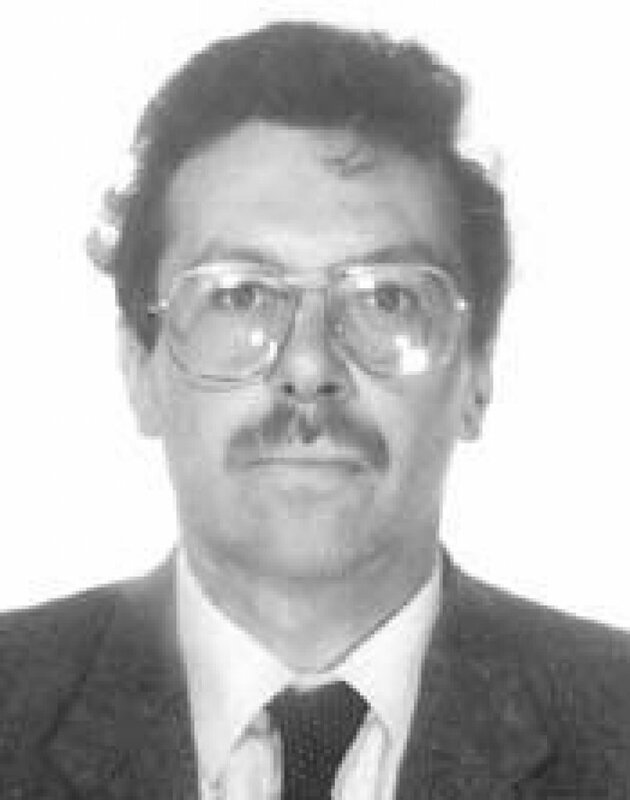 In 1985, John Myatt’s wife left him. At the time he was working as a teacher but following his wife’s sudden departure, he stopped and resolved to spend more time with his children. Myatt, however, did not have a steady source of income. He had trained as a painter, and during the 1960s he had shown a talent for imitating Old Masters, and had even received a grant to open a small studio in Litchfield, in the north of England. Myatt’s original work, however, was poorly received, and he spent the following decades drifting through a variety of jobs. In 1986, he placed an advertisement in Private Eye, an English news magazine, offering his services as a painter of “Genuine fakes. Nineteenth and twentieth century paintings from £150”. Initially the advertisement drew little interest, but one man, John Drewe, reached out and asked if Myatt could paint a work by Albert Gleizses. Myatt obliged, and unbeknownst to him Drewe promptly sold the work at Christie’s as genuine Gleizses for ￡25,000. John Drewe. Image Source: The Art Key. Myatt represented an opportunity for Drewe, who had begun his plans long before he had happened across Myatt’s advertisement. Drewe, who had no art background, had taken an interest in the contemporary markets, and believed, on a very basic level, that unlike Old Masters, contemporary artists did not have distinctive styles, and as such their oeuvres would be ripe for seeding with fraudulent works. Nonetheless, Drewe also took a precaution, and it is unclear as to how complicit Myatt was in this, which has resulted in a horrific legacy of unknown scale. Drewe visited archives at The Victoria & Albert Museum in London and the Tate and began carefully editing the catalogue raisonnes and archives of the likes of Claude Monet, Henri Matisse, Alberto Giacometti and Jean Dubuffet amongst others. Myatt’s paintings were excellent, but Drewe knew that if they were to remain undetected he would need documentation to back up the paintings. The ruse was incredibly effective as experts, scholars and appraisers who performed research on these “newly discovered” works had the sensation that works had always been there, but that they might never have noticed them in the catalogues or archives. Drewe even donated works and money to both museum to gain him further unchecked access. He replaced photos in the catalogues with photos of works by Myatt, and even went so far as to create a fake Tate cataloging stamp to add an even greater level of authenticity to his entries. Anyone researching the paintings would have been confronted by lengthy references in reputable places, ensuring any suspicions or fears were immediately put to rest. John Myatt’s fake Monet Impression, Sunrise. Image Source: Artmarket Gallery. When Myatt first realized what Drewe was doing he had his reservations, but as soon as he began making a steady income from the works, he threw himself into the swindle. He artificially aged the works with dust from his vacuum cleaner, he salted the nails in the canvases to make them rust, and he ground dirt from his garden into the stretcher bars. Yet, Drewe had begun an almost relentless sales campaign, and was selling the works at such speed that the oils did not have enough time to dry. Myatt had to switch to a mixture of emulsion paints and the lubricant K-Y Jelly. The mixture was a poor approximation of the veneer of oil, but it was just passable enough, in combination with the seemingly ironclad documentation and provenance that Drewe provided, to fool experts and gallerists alike. 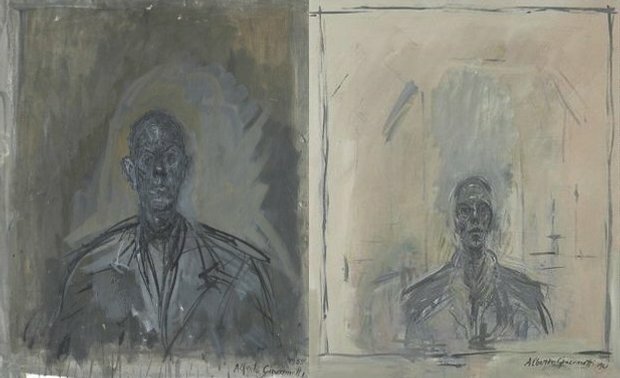 Image left: The real work by Giacometti. Image Right: Myatt’s forgery. Image Source: Phaidon. The operation grew to such a size that Drewe recruited a small team of salesmen, and established a front company called Norseland. For lower value works, in the ￡10,000 to ￡30,000 range he would sell the works through smaller regional auction houses. The auction houses had much more lax checks and balances, though once the works sold they acquired real and very traceable provenance. Scotland Yard estimate that at least 15 of the 180 known forgeries were sold through these channels. The bulk of the works were sold to galleries and dealers in London’s West End. To this day it is still unknown how many works Myatt and Drewe actually sold. The seized and exposed works are concentrated in Northern Europe and the United States. Some experts believe that there could be as many as 140 works still out in Asia and the Middle East. Myatt even smugly asserts that he still enjoys seeing his works turn up regularly at auction. John Myatt. Image Source: The Riverside Journals. The scheme fell apart when the Tate began noticing a sudden increase in the volume of provenances attributions in its catalogues, and Scotland Yard began their investigation shortly after. The investigation would run across three continents, and take as many years. Drewe and Myatt were convicted of their crimes, though Myatt received a lesser sentence after he agreed to give evidence against Drewe. Myatt continues to paint and sell his works as “genuine” fakes through his website, though he is careful to sign his real name to the works he creates now. John Myatt. Image Source: Express & Star.